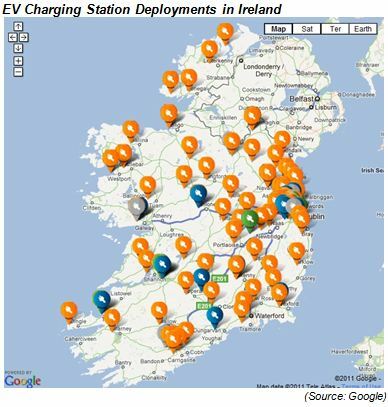 Ireland is--or should be--an ideal place for large-scale adoption of electric cars. The island is compact; it has a vibrant IT sector, a favorable policy environment, and petrol and diesel fuel each cost roughly $8 per gallon--about eight times what it costs to charge an electric car on off-peak electricity. By 2020, Ireland is expected to produce 40 percent of its electricity from renewable sources--largely wind. Electric vehicles are an ideal complement to wind energy, since they can help balance the grid by recharging at night, when demand--and charging costs--are lowest. This all should, in theory, set the stage for a historic transition to electrically-powered vehicles in Ireland. To spur sales of electric cars, the Irish government has put in place a robust series of incentives. Plug-in electric car purchasers are eligible for a government credit worth up to 5000 euros (about $6,500). Vehicle Registration Tax (VRT)--up to 5000 euros--is also waived for electric cars. And to top it off, electric-car owners pay the lowest rate of annual road tax, which is based on emissions. But that's not all. The first 2,000 electric cars registered in Ireland are eligible for installation of a free home-charging points--worth about 1000 euros ($1,300). Despite all this, electric car sales have lagged. 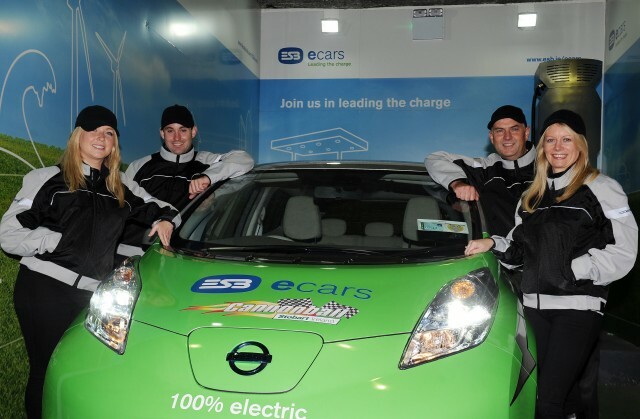 According to Irish motor-industry statistics, just 32 new electric cars were sold in all of 2013, although that total climbed to 164 for the first six months of 2014. The number of electric cars owned by individuals totaled about 500 by mid-2014. To put that in perspective: there are presently twice as many public charging points in Ireland as there are privately-owned electric cars. Purchase price had been a factor that limited sales. 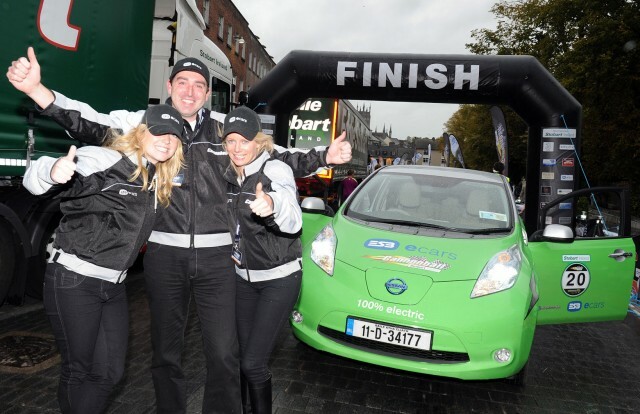 However, the price of the leading electric car in Ireland, the Nissan Leaf, has dropped significantly. When incentives are factored in, the Leaf is now comparable in price to similar petrol or diesel vehicles. One of these is the Nissan Qashqai (similar to the Nissan Rogue sold in North America), Ireland's second best-selling car model. The Qashqai sold 3,485 units in Ireland in the first six months of 2014--representing 4 percent of the market. By contrast, a mere 148 Leaf were sold during that same period. While Ireland is compact, range anxiety has still been a major constraint on electric car sales. The effective range of the Leaf is only about 80 to 90 miles per charge. 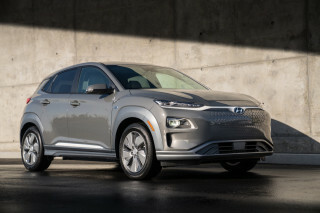 While most travel occurs within that range, the limitation has given many potential purchasers pause--including environmentally conscious consumers who would otherwise be inclined. 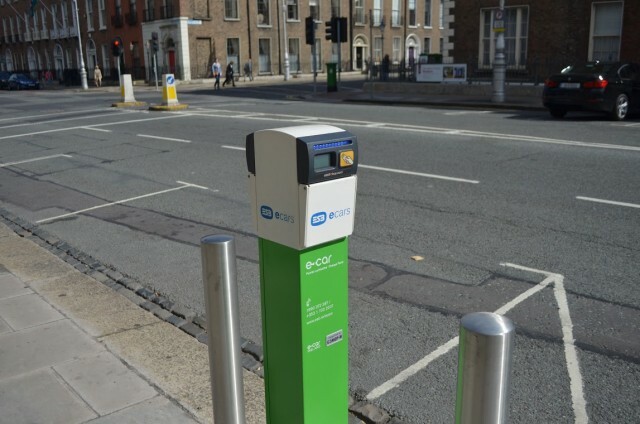 To counter such concerns, the e-cars division of the Electricity Supply Board (ESB) has worked to set up a network of roughly 1,000 public charging points, distributed throughout Ireland. Of these, 63 offer DC fast charging, mostly at convenient intervals on major highways. 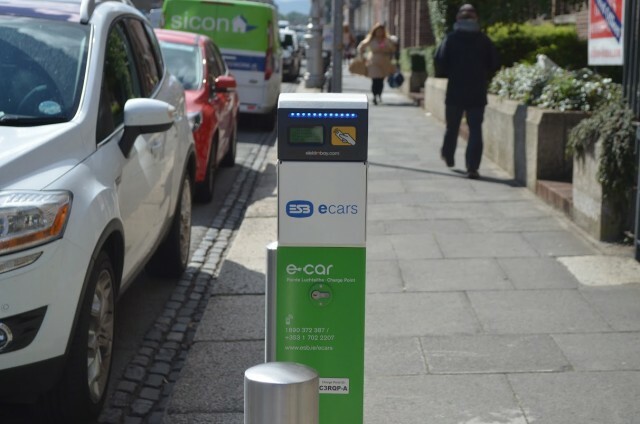 Hundreds more public charging points are planned. The high speed chargers offer an 80-percent charge within 25 minutes. With minimal planning, long-range electric car travel in Ireland should thus pose little difficulty. The standard public charging points take about 8 hours for a full charge, but they offer a bonus: they are--at least for now--free. Several hundred additional charging points have also been installed for commercial use. At the moment, lack of public awareness about the performance of electric cars and their cost benefits is perhaps the major impediment to adoption. Indeed, the marketing of electric cars in Ireland has been minimal to non-existent, helping ensure that sales volumes stay small. The limited choice of models available--until now it has been essentially only the Nissan Leaf--has been a serious barrier. This will soon change as other models enter the Irish market. Mitsubishi recently introduced its Outlander Plug-In Hybrid utility vehicle to the Irish market with both radio and national print-ad campaigns. Electric cars could, at least initially, be marketed as the optimal inexpensive second car, with a petrol or diesel vehicle used for long distance travel for those concerned about range. This market--like the potential market among IT and green enthusiasts--remains largely untapped. Electric cars ought to fit well into the way Ireland seeks to present itself to the world: innovative and green. High levels of wind energy combined with a smart grid and high penetration of plug-in vehicles would represent a mutually reinforcing smart-power loop. The Tesla Model S, virtually non-existent in Ireland, has demonstrated that the technology for long-range electric cars--getting 250 miles per charge--exists now, but remains expensive. As production increases and technology advances, the cost for such long-range electric cars will come down. Ireland would do well to position itself on the right side of that historic shift. There are also strong national security arguments in favor of electric cars for Ireland as well. The transportation sector accounts for one third of Ireland's energy use, and almost all transportation fuel used in Ireland is imported. Electrification of even a modest portion of this sector--using locally produced wind power--would make an important contribution toward Ireland's decarbonization and energy security goals, while improving the country's trade balance. Norway, unlike Ireland, is making it happen right now. Electric car sales are surging, with more than 30,000 already on the road. The Tesla Model S and the Nissan Leaf are among the most popular and best-selling cars in the country. Electric cars account for well over 10 percent of the new-car market in 2014, double the level of 2013. Clearly generous government incentives have helped spur the shift to plug-in cars in Norway, but many of these incentives--such as waiver of high sales taxes--are similarly available to Irish car buyers. Indeed, Norway does not offer the 5000-euro purchase credit that Ireland does. 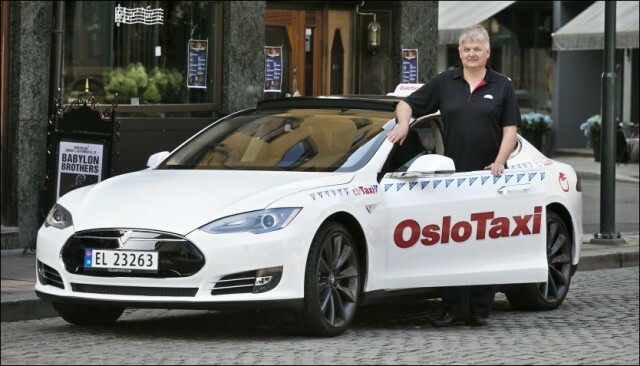 One difference lies in the "soft incentives" for electric cars that are offered in Norway, including use of limited-access bus lanes, preferential inner-city parking, and free ferries and tolls for electric-car drivers. Once the target of 50,000 electric cars on the road is reached--perhaps as early as the end of next year--the Norwegian government plans to re-evaluate its mix of incentives. But those incentives are clearly working to reward early adopters and get electric cars onto the country's roads. Paradoxically, despite its minimal adoption rate to date, Ireland is actually more suitable for electric-car use than Norway. That country is far more spread out, creating range issues, and Ireland's mild climate is easier on electric batteries. Before the devastating economic crisis of 2008, Ireland set the optimistic target of 10 percent of its cars being electric by 2020--or about 220,000 vehicles. While the target remains in effect, there seems little prospect that it will be met. 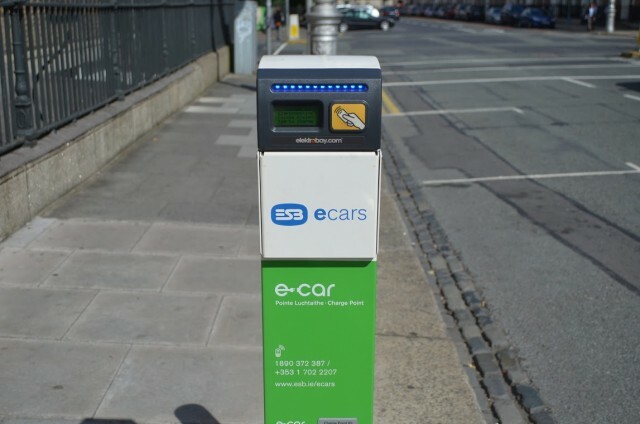 The Irish government and the Electricity Board are to be commended for setting up the charging infrastructure and sticking with the incentive program, despite the budgetary constraints imposed by the recession. Nonetheless, the existence of an impressive charging network is of little value if it sits largely unused. Car sales are sharply up in Ireland in 2014 as the country emerges from five years of recession. And this year's jump in electric vehicle sales, albeit from a small base, demonstrates that awareness of plug-in cars is at least growing. To accelerate this, manufactures need to do far more to educate the Irish public. Many Irish consumers do not know, for example, that the acceleration from a stop of electric cars is quick, and maintenance costs low. A collective marketing campaign for the sector as a whole might serve this end. The government could amplify such a campaign by shifting more of its fleet to plug-in vehicles, and by incentivizing that same shift by private car fleets. 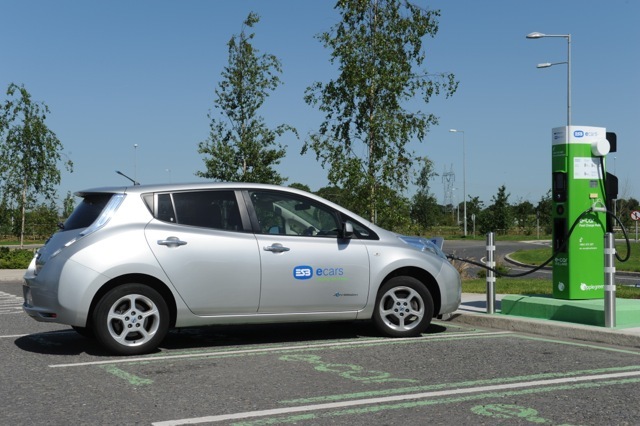 Municipalities too could learn from Norway and consider "soft incentives"--such as access to bus lanes and free parking for electric cars--to attract early adopters. One thing is clear: the fundamentals in favor of electric cars in Ireland are far stronger than the small number of them currently on Irish roads would indicate. The key to turning the situation around is for the electric-car makers to initiate a serious push on marketing. That, plus some offering of soft incentives, may be just what is needed to get Ireland past the elusive tipping point on electric cars. EDITOR'S NOTE: The author is a U.S. Foreign Service Officer. The views expressed in the article are those of the author, and do not necessarily reflect the views of the Department of State or the U.S. government.